The article is a tribute to the ideas and efforts of Prof. Dr. Drago Novak, who founded and compiled the Novak Map Collection (Zbirka Novak). As a world traveller and professional radiologist, he was also a cartographer, collector and lover of old maps. 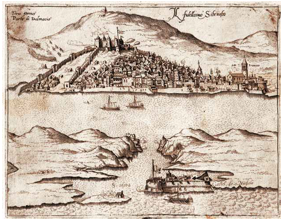 The author also analyses some original, early, modern maps of the Dalmatian coastline and the role of local cartographers and copperplate engravers (Martin Rota and Natale Bonifacio) in the production of these maps and their significance for further cartographic development.